How have we already turned the corner into August? 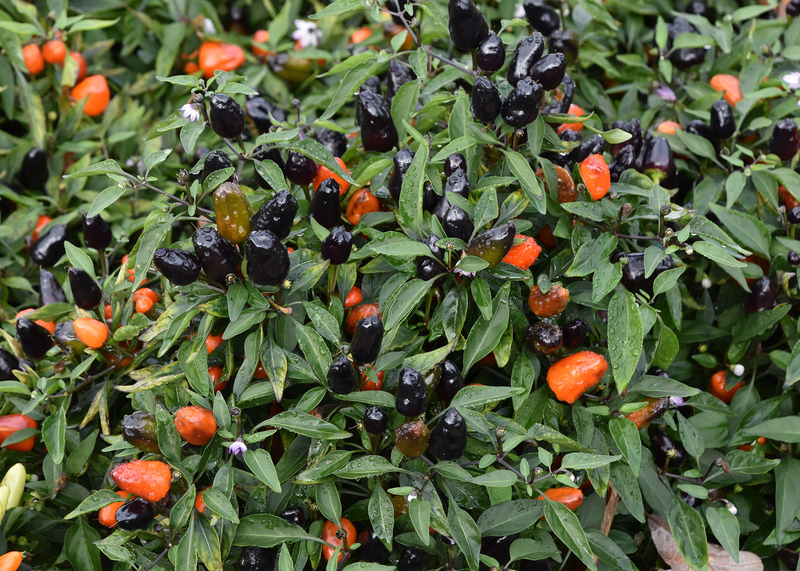 While it’s still hot and likely to continue that way for at least another six weeks, I’m looking forward to one of my late-summer landscape favorites, the ornamental pepper. These plants have been growing patiently all summer, seeming to wait patiently and soak up the Mississippi heat until our other plants need a breather. If you follow Southern Gardening, then you probably know that I really love the show that ornamental peppers put on in late summer and early fall. There have been more and more new ornamental peppers hitting the market for the past several years. Garden centers have a few varieties in the spring, but true aficionados know that you have to grow your own from seed to have the truly unusual and beautiful plants for fall display. Unfortunately, this means you have to start planning in the spring. But knowing this now and getting great recommendations means you’ll be ready for next year. The selection of ornamental peppers is unbelievable. They come from big to small in green, purple and variegated foliage and with multicolored fruit. What a fun and unique way to add interest to your garden. 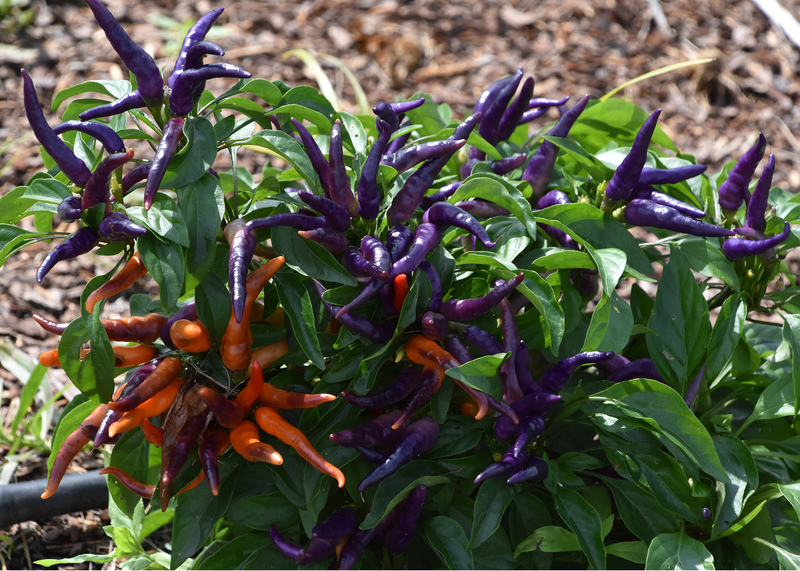 Ornamental peppers love our hot, humid summers, and this helps the plants produce loads of pretty fruit. When the pepper plants are producing, it is very common to have peppers in various stages of coloration. This fantastic feature provides for an ever-changing look in the landscape. Once fruit has set, it is common for the peppers to remain on the plant for a few months, maintaining their beautiful colors. Only when the peppers begin to dry will the color start to fade. 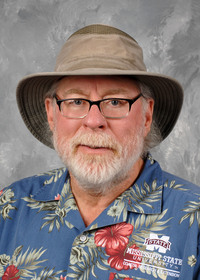 Of the many varieties on the market, perhaps my favorites are the NuMex line of peppers from the Chile Pepper Institute at New Mexico State University. I have grown these plants for the past five or six years in my home garden. We’ve even been trialing these plants around the state. It’s hard to pick a favorite NuMex variety, so I’ll tell you about a few I’m growing this year. NuMex April Fools’ Day displays fruit pointing upwards in a tangle of long pods that resemble a joker’s hat. The colors start purple and mature to a bright orangey-red. NuMex Halloween produces loads of oval-shaped peppers. Displayed upright, these peppers turn black and then orange. What a great contrast. An older selection is the stunning NuMex Twilight. 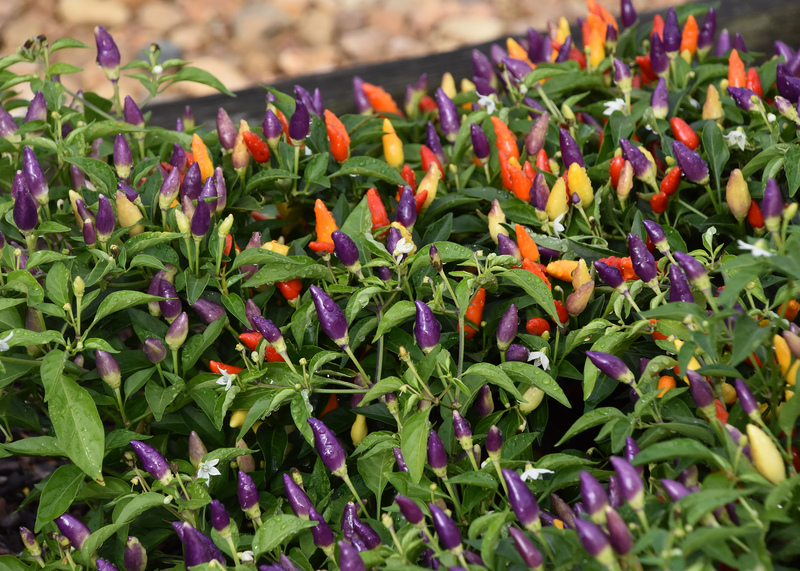 As the peppers mature, their colors range from purple to orange, yellow and red. It’s like having a rainbow of fire in the landscape. One thing to remember is that, while these peppers are hot visually, they are also extremely hot to taste. If you want to eat them but don’t like the heat, try Chilly Chili, a gorgeous ornamental pepper that doesn’t carry any heat. 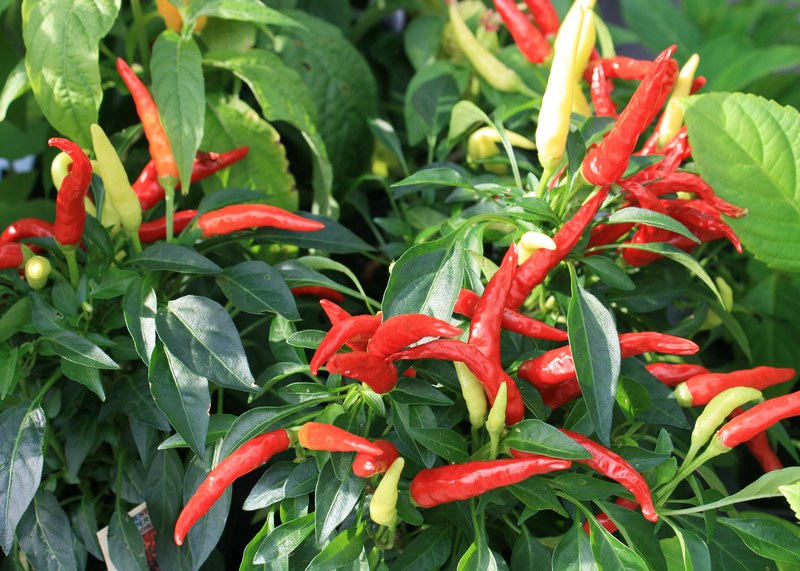 Chilly Chili peppers are displayed above the foliage in bright bunches of yellow, orange and red. Ornamental peppers prefer to grow in consistently moist soil, but don’t be overly generous with the water, as the plants don’t tolerate waterlogged soil. I like growing these landscape standouts in containers or raised beds. Fertilize with a good, slow-release fertilizer early in the season. Some gardeners stop fertilizing once fruit starts to set, but I like to feed with water-soluble fertilizer through the fall to maintain the nutrition at optimum levels. I realize it’s too late for plantings this year. But if you are interested in these varieties for next year, start planning this fall and winter. The seeds are available at many online seed houses.